Engage has organised a Consultation Meeting for all city centre and waterfront residents who want to know more about the proposals in the Local Plan for the city centre neighbourhoods. This meeting will be attended by Planners from the City Council who have been working on the proposals for many years now and are at the final stages before agreeing the final document. This is an opportunity not to be missed by those who care deeply about the city and want to have an input into shaping it’s future direction. Venue: Cunard Building, 6th Floor, Banqueting Suite. 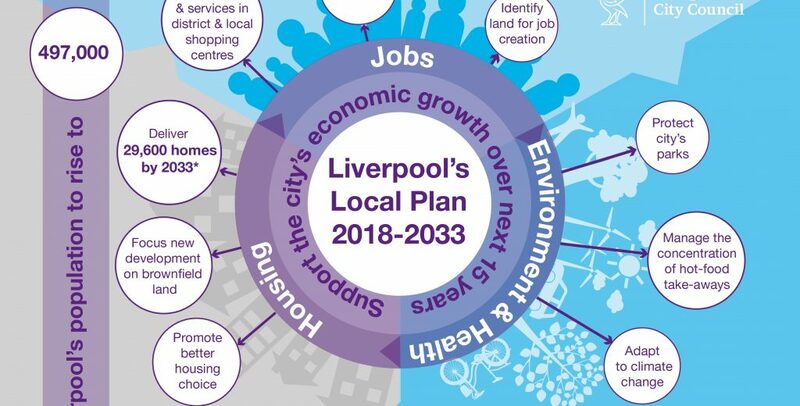 Liverpool City Council is preparing a new Local Plan, which will guide development in the City over the next 15-20 years. 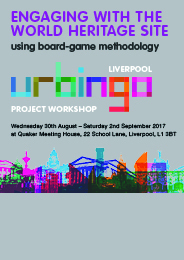 Once adopted, the Local Plan will replace the Liverpool Unitary Development Plan (UDP) as the current statutory development plan for the City. Between December 2013 and April 2014 the City Council invited suggestions on the content of the Local Plan. 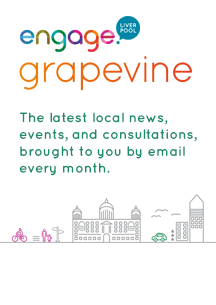 The City Council has considered the representations received and is inviting comments on a draft Local Plan which includes a spatial vision and strategic priorities for the future development of the City, detailed City Centre policies and development management policies to guide development, and site allocations for housing and retail development. It is considered that the draft Local Plan has addressed the majority of representations positively by wherever possible reflecting the concerns and issues raised in respect of policy content, designations and allocations. It is not a complete initial draft plan as the City Council is still waiting for evidential studies to be finalised and it does not include a full Policies Map. The final formal Publication version of the Local Plan will take into account the completed evidence studies and the representations made following this consultation stage. All Representations must be returned to the City Council by 5 pm, 31st October 2016.
post to: FREEPOST RRUK-HRTT-LATT, Liverpool City Council, Planning and Building Control, Municipal Buildings, Dale Street, LIVERPOOL L2 2DH. For further information, contact the Development Plans Team as above, or telephone 0151 233 3021.